5. What Magick Falls Here? Formed in 1996, Lycanthia is a 6 piece Metal band based in Sydney, Australia. Lycanthia play dark aggressive and emotional Metal in a style that would be best described as a fusion of Doom, Classical, Gothic and Rock. The popularity of their live shows along with their self titled demo established the band in the Australian Doom Metal underground. 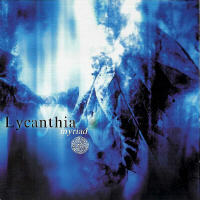 Lycanthia's first full length CD 'Myriad' saw them develop their musical style with greater maturity, creativity and originality. Working closely and without the confines of a restrictive genre, Lycanthia have sculpted their reactions to existence and the world into a musical expression of harsh and bleak reality. November 2006 marks the release of Lycanthia’s latest CD ‘Within the Walls’ which sees the replacement of cello and flute with violin, streamlining their sound whilst creating greater strength and complexity. The success of Lycanthia has continued and grown with regular radio airplay and numerous live performances around Australia alongside local and international acts at Metal venues and festivals.